Students of Holy Cross School show off some of the newly acquired gnarly bike skills. All students now have regular access to his wonderful resource.. In 2015, This Way Up's Simon Morton paid a visit to Holy Cross School. 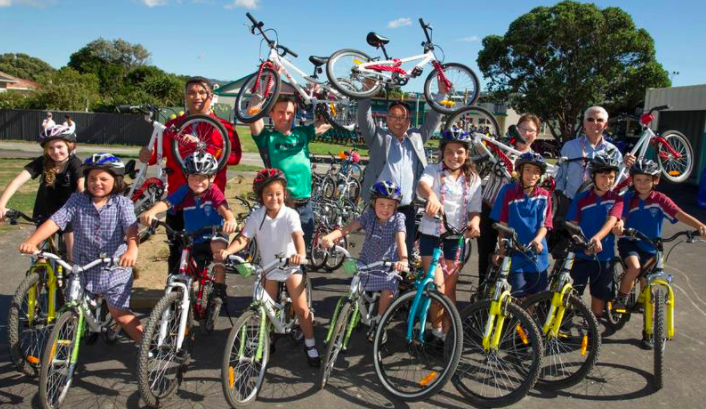 We are of three schools that were selected for Wellington City Council support to introduce Bikes In Schools. Click on the picture to hear us on the radio.